Howard Miller Piedmont Hide-A-Bar (P/N 690-000). Finished in distressed Rustic Cherry on select hardwoods and veneers with traditional styling. The lower cabinet features a metal wine rack with capacity of 13 bottles. The stemware rack accommodates 5 glasses. Two fixed shelves offer storage for spirits, mixers and bartender guides. The Touch-lite adjustable light switch in the upper right hinge of the lower door offers four levels of lighting: low, medium, high and off. A locking door provides added security. The glass shelf can be adjusted to any level within the upper cabinet, and pad-lock cushioned metal shelf clips provide for stability and safety. Adjustable levelers under each corner provide stability on uneven and carpeted floors. 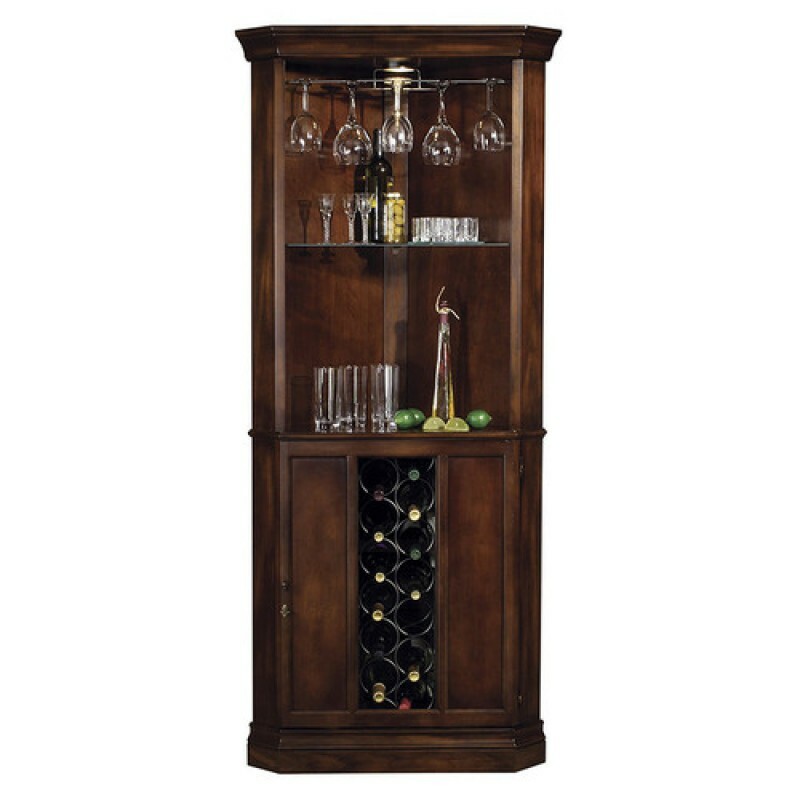 This wine and bar cabinet combines traditional styling with plentiful storage and a convenient space-saving corner design.